Toeniskoetter Development, Inc., has completed the acquisition of a two-building office campus totaling 147,774 square feet on North First Street in San Jose. 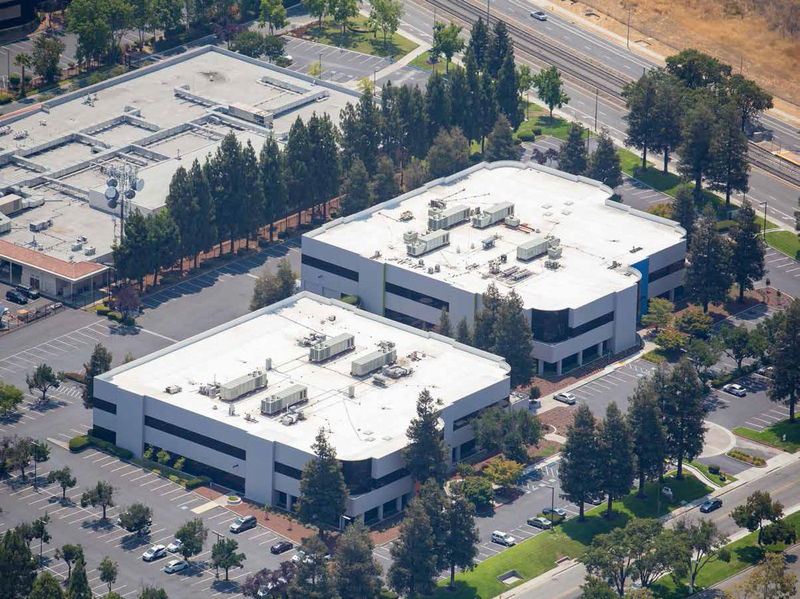 With a prime location in Silicon Valley’s renowned Golden Triangle, the acquisition is expected play a key role in Toeniskoetter’s long-term investment strategy. The buildings are located at 2460 and 2480 N. First Street. Fully leased, the two largest tenants are Google and Santa Clara County, representing 73% of the total square footage. The County has continued to expand its footprint within the building, and Google recently extended its lease through 2027. Location is certainly key. Situated on North First Street, one of the area’s main thoroughfares, the property has easy access to I-880, Hwy-101, SR237, and Montague Expressway and is minutes away from Mineta San Jose International Airport. The Component VTA Light Rail Station is directly across the street. Also across the street: Apple’s 86 acres, expected one day to accommodate a 4.15 million square foot office/R&D campus and more than 20,000 employees. Perhaps the biggest upside is found in the property’s long-term potential as part of City of San Jose’s ambitious growth plans. The two buildings are located within a Transit Employment Center, designated by the Envision San Jose 2040 General Plan, which allows for a maximum floor area ratio (FAR) of up to 12.0. That means future redevelopment could potentially grow the property by as much as an additional 4 million square feet. Such plans remain in the future, however. For now, the transaction will be seamless for current tenants, as Toeniskoetter takes over ownership of the buildings. The sale was brokered by Cushman & Wakefield, which represented both the seller, TMG, and Toeniskoetter Development.